Metallic silver lacquer finish on hand-turned vase. 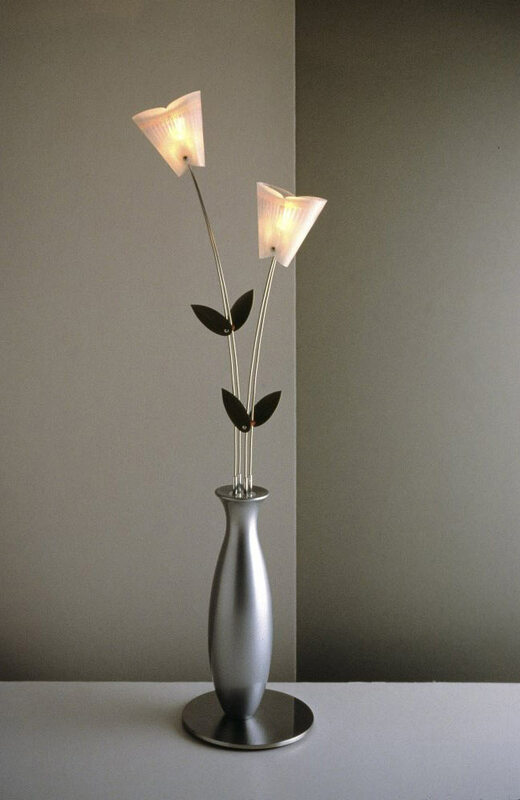 Stainless steel base and stems with laminated and dyed wood leaves. Shades are made from polycarbonate in yellow or orange. Includes one MR-16 halogen bulb. Measures approximately 60" high x 12" deep x 9" wide shaped base.